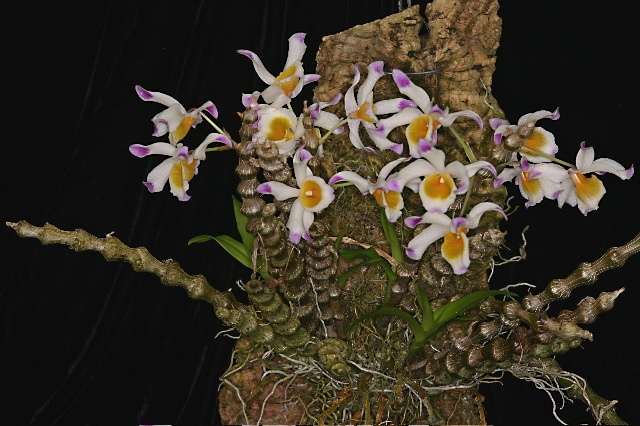 Dendrobium pendulum Roxb. 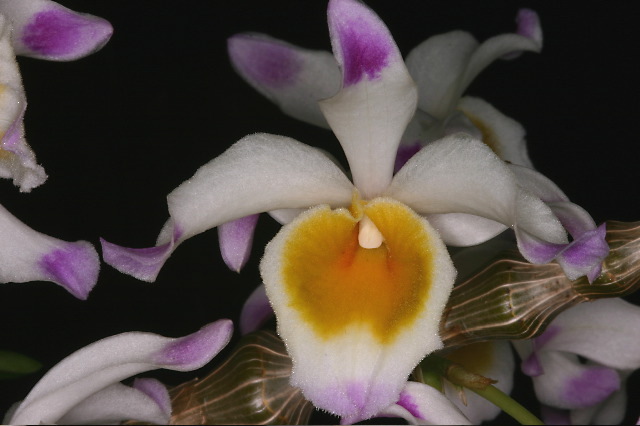 1832 SECTION Dendrobium Photo by © Eric Hunt and His Orchid Website. 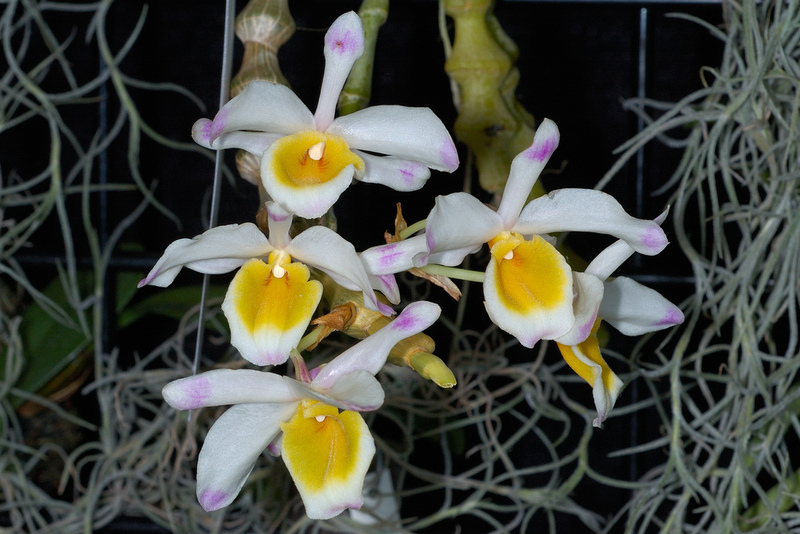 Found in Hainan and Tibet China, Assam, Bangladesh, Myanmar, Thailand, Laos and Vietnam in open forests on tree trunks as a small to large sized, warm to cool growing epiphyte or lithophyte in full sun at elevations of 760 to 1600 meters with tufted masses, decurved or pendulous, 7 to 16 noded, swollen at each node, sulcate, dull olive-green stems carrying deciduous, lanceolate, semi-amplexicaul, acute leaves that blooms on an axillary, short, few flowered inflorescence with boat-shaped, papery floral bracts that arise from the upper nodes on leafy and old leafless canes carrying fragrant, long-lasting flowers occuring in the fall through spring but mostly in the late winter and early spring. Reduce water from fall until md-winter but do not let the plant become too dry, in late winter give only mistings until the new growth arises in the spring. 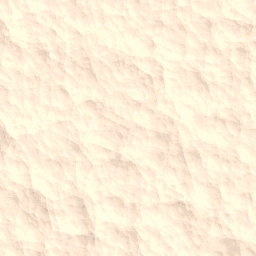 Fertilizer may be curtailed or greatly reduced through the same period.